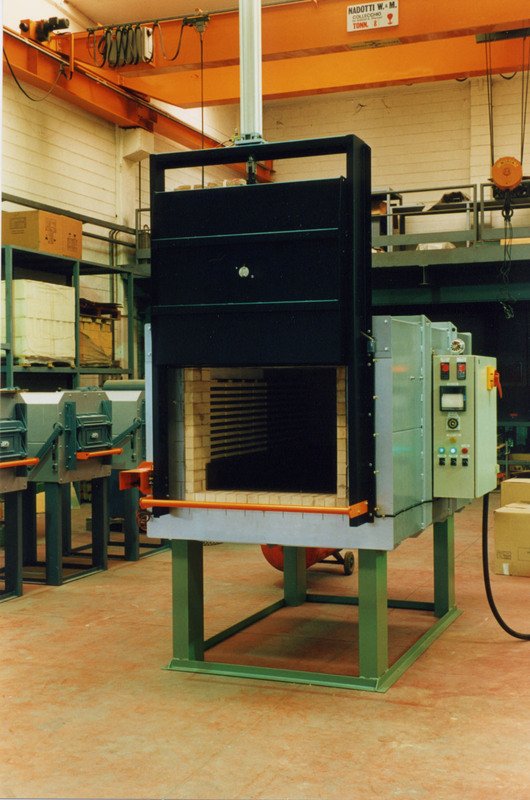 Chamber furnaces are the systems used for heat treatment up to 1150°C. They are suitable for all medium and high temperature heat treatments and allow to carry out processing such as hardening, tempering, normalising, annealing, reheating and for carburising, carbonitriding, tempering, normalising, annealing and re-carburising treatments with quenching in atmosphere, oil and salt. They are versatile systems that can be easily integrated in automatic processing lines. with front loading and unloading. 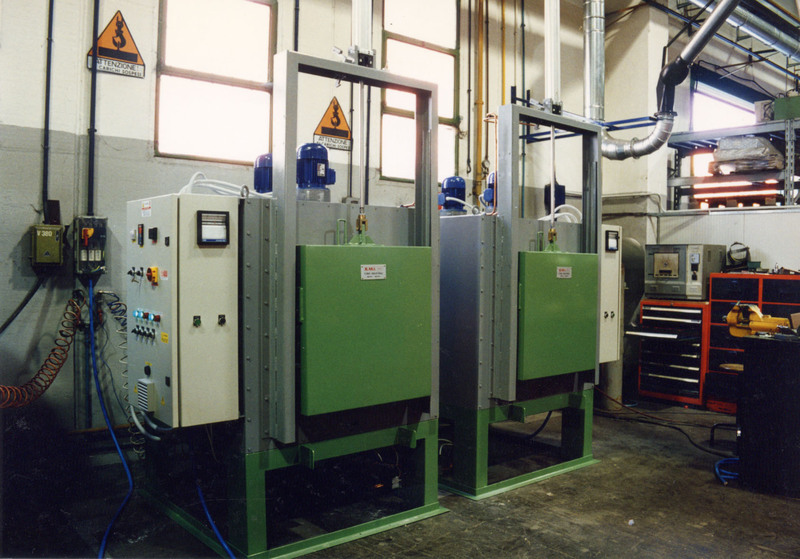 Chamber furnaces, employed for stress-free annealing and tempering, have different customisation possibilities such as automatic or semi-automatic management system, and the possibility to carry out the treatment in an inert atmosphere. E.M.I. Italia designers follow the whole project from its definition to the construction of the plant, to offer solutions tailored to the customer's requirements. Some heat treatment processes, in fact, require gas heated chamber furnaces to ensure short heating times and high power. Chamber furnaces with powerful atmospheric gas burners are suitable for many of these processes. Depending on the version, it is possible to equip the furnaces with automatic forced air burners and other adequate accessories.